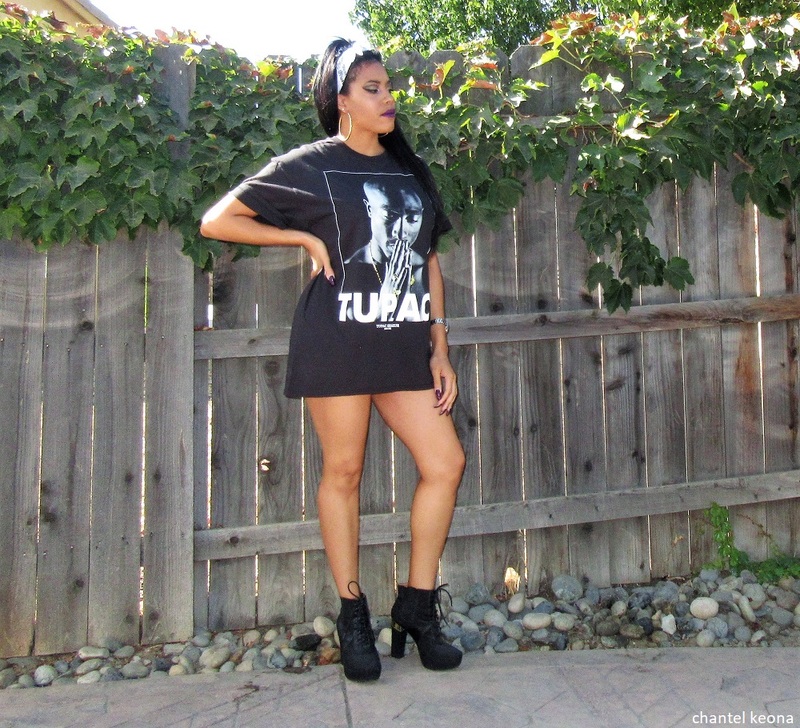 I have always been a huge Tupac fan ever since I was a little girl, my dad used to play his music all the time. 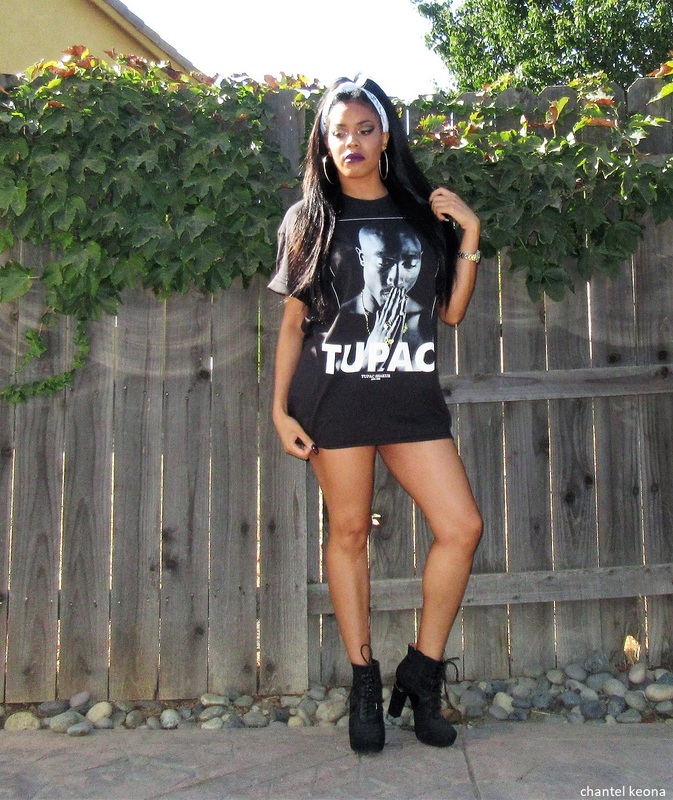 For the longest time I’ve been looking for a Tupac t-shirt without any luck until I went into Hot Topic this August and I fell in love with this shirt as soon as I saw it. I paired this t-shirt with black booties and a white bandana. I hope this inspires you and keep reading for all the deets. 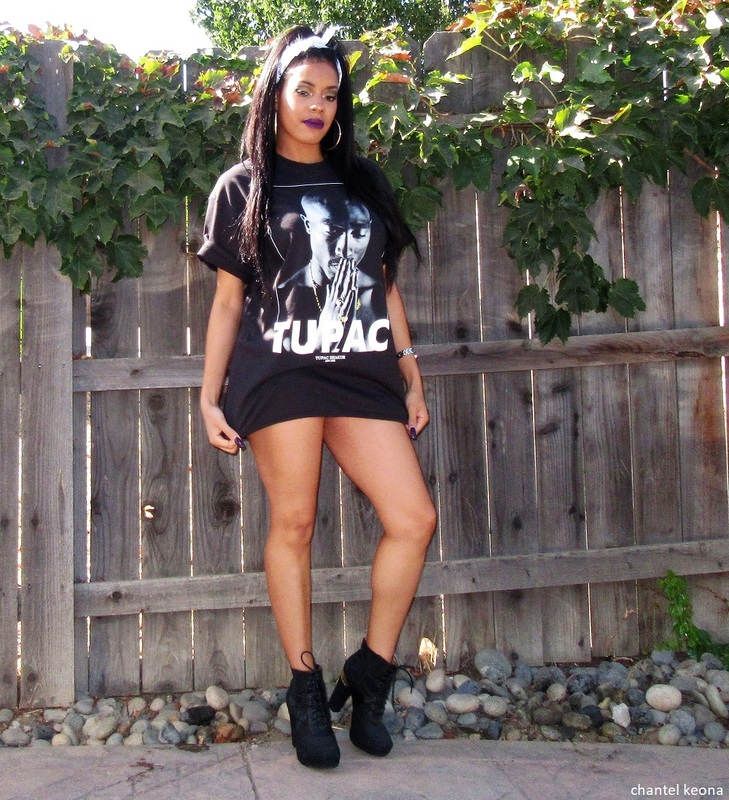 What is your favorite 2Pac song? Let me know in the comments. Tupac fan right here as well.